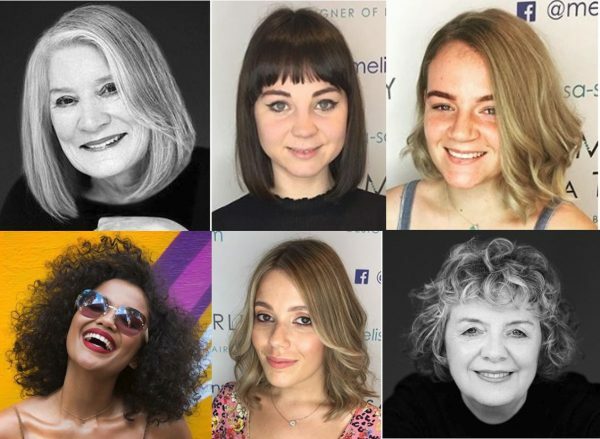 We don’t know if it’s down to the clocks going forward (and a hope for sunnier weather), but we’ve seen a big interest for blonde hair colour in the Salon recently. People often moan about blonde hair colour as being a bit bland. 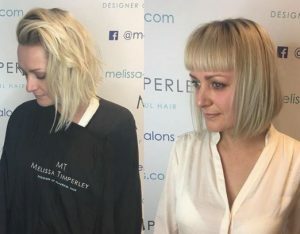 We wholeheartedly disagree and, in this post, we’ve set out to convince you about the sheer versatility and variety blonde hairstyles offer. Here are some blonde hair ideas to inspire you. Going blonde isn’t necessarily about a big colour switch transformation, although we’ve been happy to help some clients achieve that. 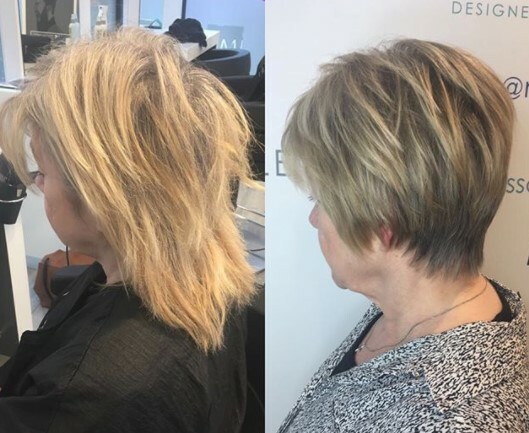 We’ve also had clients with blonde hairstyles keen to adjust gently to something different – for example softening chunky bleach highlights into something cooler and more blended. 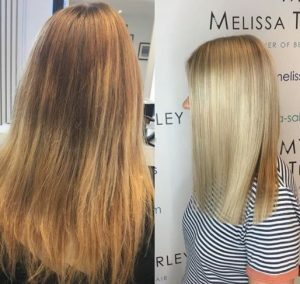 We’ve also been tackling roots, faded blonde ends and tired balayages to inject fresh vitality and brightness to our clients’ hair and appearance. 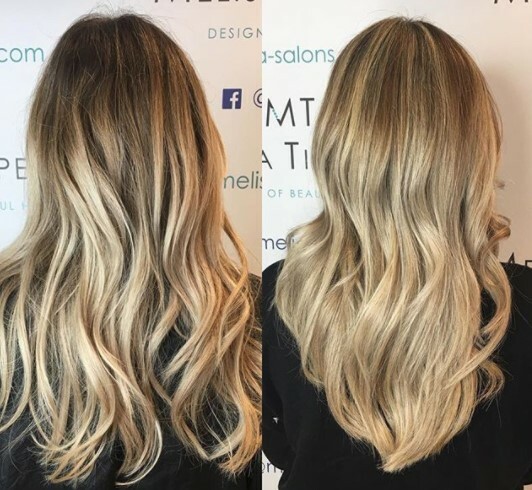 A gorgeous blonde colour can work well on all lengths of hair and is great if you want to add texture and depth to your hairstyle. 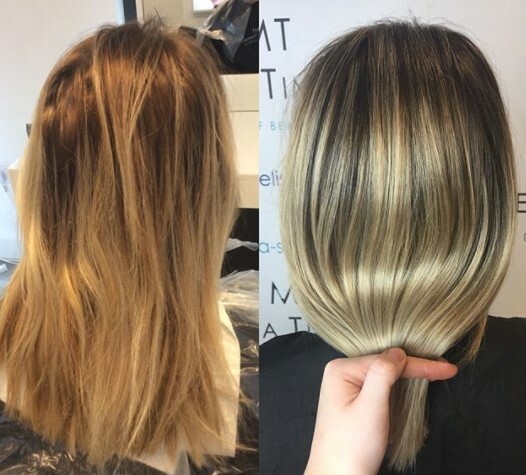 We’ve been doing some great balayage blonde re-colourations to give a low maintenance but stunning hairstyle for some clients. It helps to find pictures of the colours and tones you like from magazines and the web. 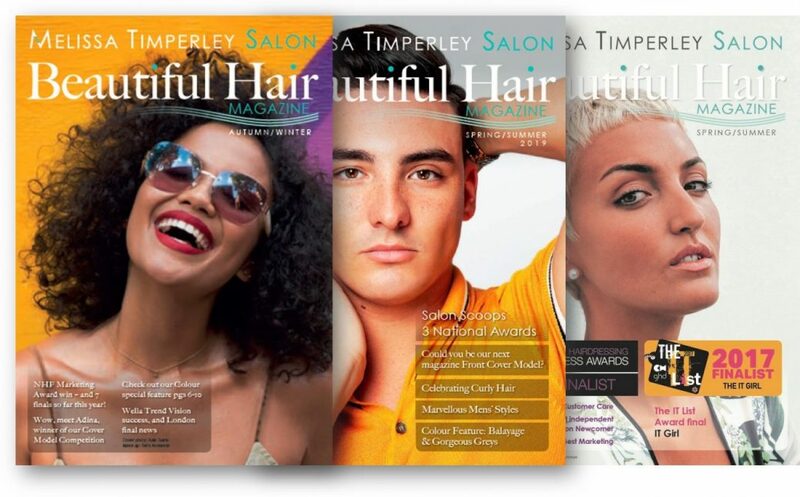 Take them along to your hairstylist to give them an idea of what you want and get their views and advice. At Melissa Timperley Salons we conduct a detailed consultation with our clients ahead of any colour transformation. 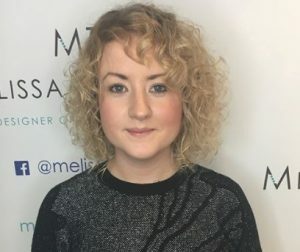 Discuss what blonde tones will best fit your eye colour, facial tone, your clothes (unless you want to use this as an excuse to get a brand new wardrobe!) and make up. Consider your lifestyle – things like excessive exposure to the sun, over-washing (if you’re sporty and take a lot of showers) and chemicals such as chlorine in swimming pools can all be tough on your hair’s health and colour. Don’t forget to let your hairstylist know what lifestyle factors they need to be aware of in their blonde colour and hairstyle recommendations. 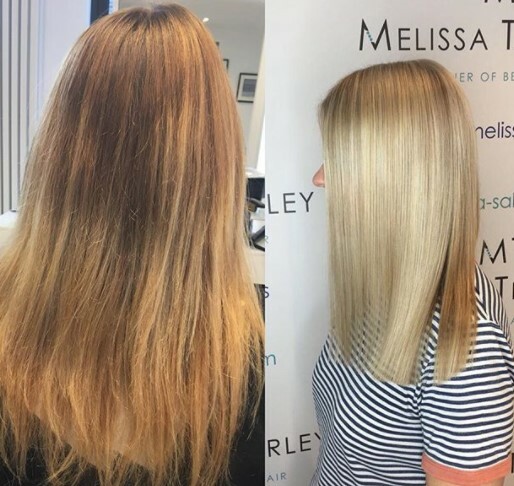 Volume of colour – it’s also important to discuss if you’re better suited to a full head, highlights or a balayage colour treatment? All of these approaches to going lighter and blonder have their pros and cons and create very different looks. 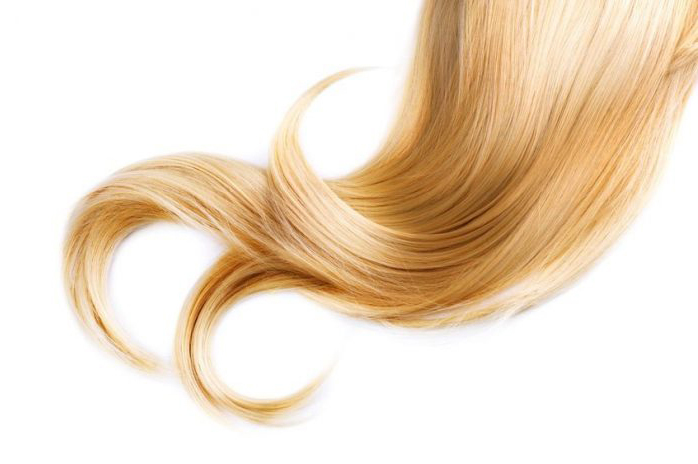 Aftercare – don’t forget to get your hairstylist’s recommendations for the right blonde shampoo to keep that shine and tone when you get home. 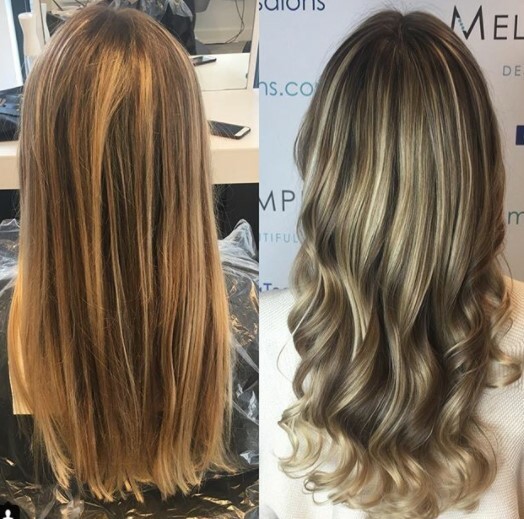 It’s important to opt for one with the special ingredients to help you preserve the colour you love. 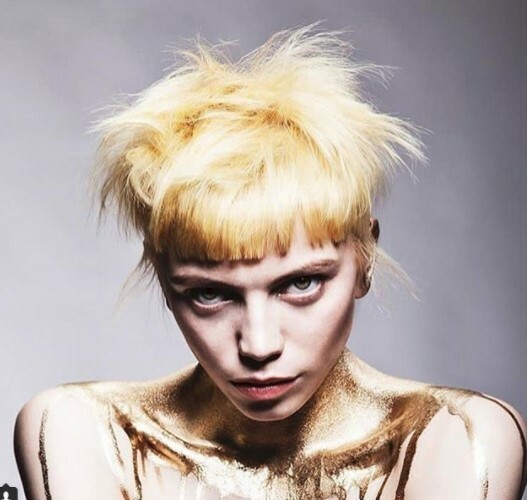 Hopefully we have now convinced you of the sheer variety and versatility of blonde colours. 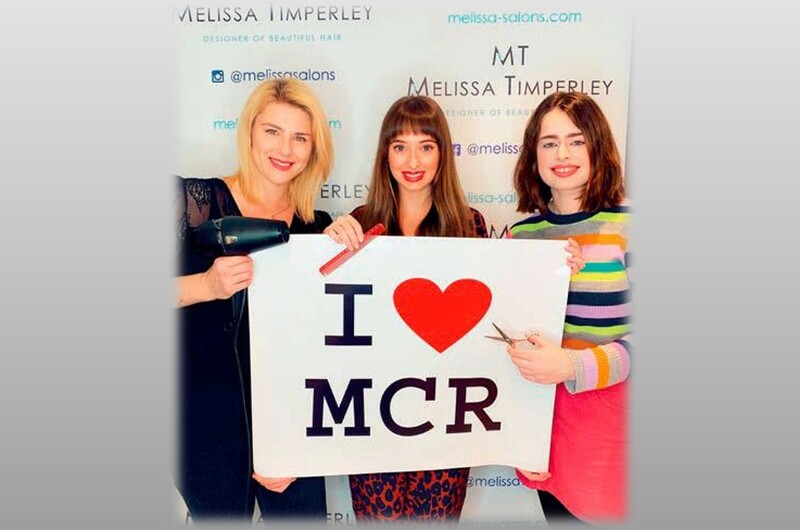 If you fancy to inject some spring and summer tones into your hairstyle in the months ahead, why not book in at our Manchester Hair Salon for an initial consultation? Our talented team of colour and styling professionals will be delighted to help you get the look you want.